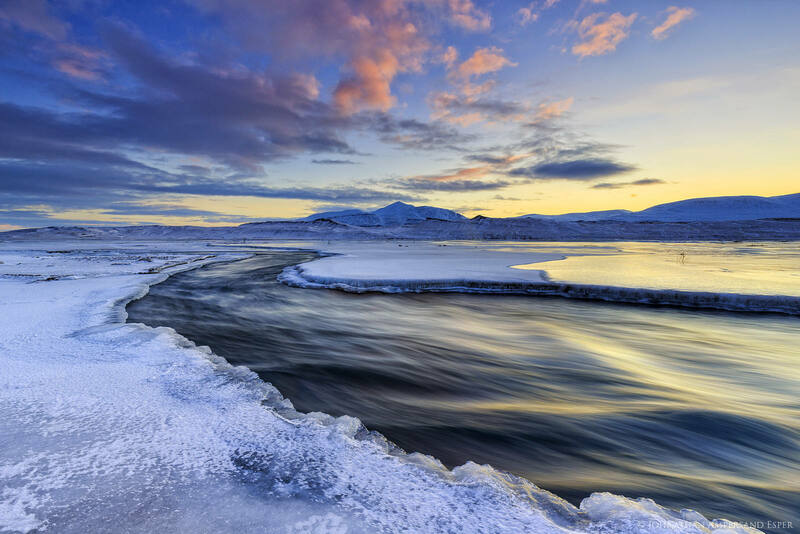 Extended Full Trip Option: This short extension trip is designed and dated to easily be added on after the preceding Iceland South to North trip for an extended trip and complete circumnavigation around Iceland in winter. You may also do this trip as a stand-alone trip to lesser visited areas of Iceland, as some participants enjoy doing that have been to other parts of Iceland on a prior trip. This exciting 4 day short photo adventure features the classic Snaefellsness Peninsula locations and northward to the remote northern coastal peninsulas which provide new and exciting photographic destinations, all the while searching for the Aurora Borealis! This coming winter 2019 season here in Iceland we have an exciting portfolio of trips to offer photographers, that cover all the accessible regions around Iceland. This Icelandic photo tour travels in a one-way itineary around the Snaefellsness peninsula, Reykholt valley, and then northward through the northern Skagi and Trollaskagi peninsulas, finishing in Akureyri, Iceland's second largest town. While you may experience this trip as a stand-alone short trip, it's recommend you consider adding to your Iceland experiences with a longer photo excursion to the south or north on adjacent days. For those photographers who are just joining this tour as a stand- alone trip and not as an extension-trip, it is recommended that everyone visits the famous Godafoss waterfall, and the Myvatn geothermal and lava fields area. Today would be the day for this, as the scheduled group tour doesn't include these highlights. (we covered these thoroughly in our 10 day trip around Iceland 02-12 March 2019, which you are welcome to join). Overnight on your own in Akureyri (optional). Then we drive through some newly-built tunnels through the mountains over to Eyjafjordur, Iceland's longest fjord, photographing more coastal and rural scenes along the way, and arriving to Akureyri mid-afternoon. There will be some time off in the afternoon to explore Akureyri a little on your own, then we convene for one last group dinner at a nice restaurant and one last chance for aurora borealis night shooting. Overnight: Siglo Hotel, Siglufjordur. In Reykholt in the morning we'll photograph the springs of Hraunfossar, and the historic Reykholt church and Snorri's pool. Then we drive out onto the Snaefellsness Peninsula, known for it's lava fields, coastal scenes and iconic mountains. 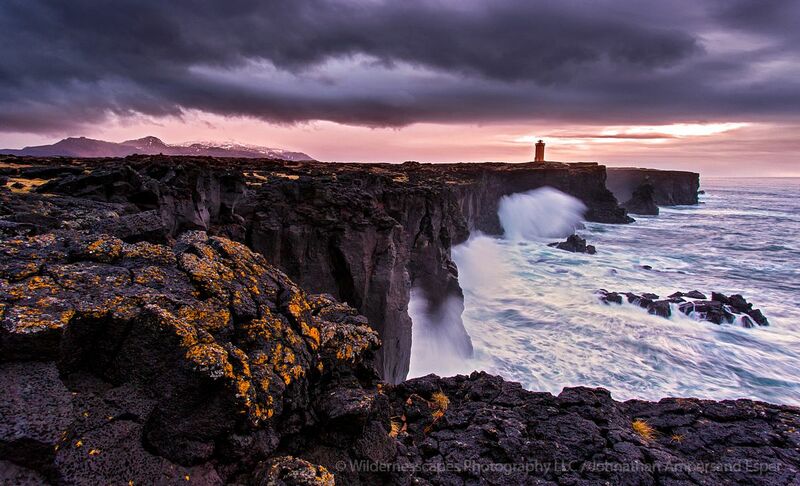 We'll photograph at places including the Londrangar cliffs and lighthouse, church at Hellnar, Beserkershraun lava field, Stykkisholmur fishing town, Kirkjufell, and other area waterfalls and mountains. unset and hopeful aurora borealis shooting locations would be at Kirkjufellsfoss waterfall. Overnight: GrundarfjordurReykholt. Today on our last tour day we'll continue photographign the classic scenes of the Snaefellsness Peninsula, starting with a sunrise right out the oceanfront hotel of Kirkjull Mountain. We'll then drive over a snowy mountain pass to photograph the rest of the morning at volcanic and ocean sights including Arnastapi sea cliffs and Budir church. By later afternoon we'll have concluded our time here on the Snaefellsness Peninsula, and head back to Reykjavik. Depending on the group's choice and weather, perhaps we'll squeeze in one more sunset shoot before dropping off everyone to their hotels in Reykjavik. Tonight's accommodation is not included in the trip. End of trip. You'll fly out the following day on your own, tired and happy and filled with thousands of images! Overnight: Reykjavik (on your own). 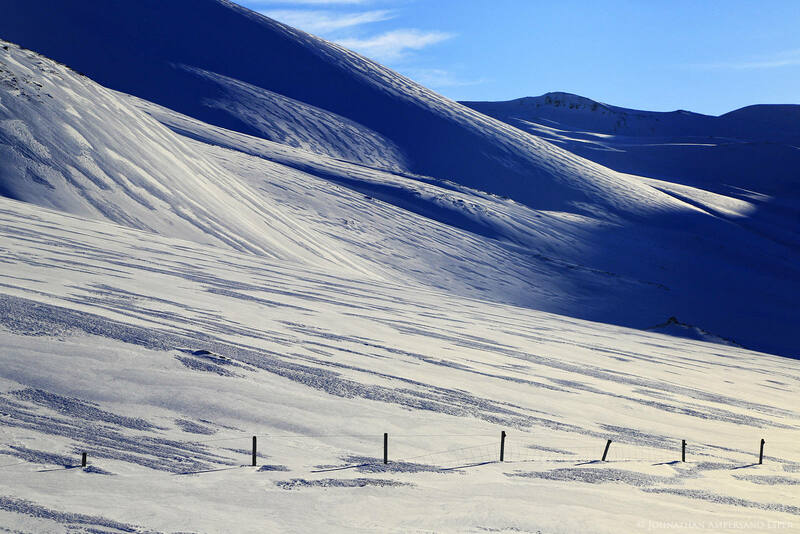 Start/End: Trip starts in Akureyri at 12:00pm, with pickup from an Akureyri hotel or the Akureyri airport. Photography guiding, accommodation and potential night aurora shooting starts now. The trip concludes back in Reykjavik with drop off to your own respective hotels on the evening (time TBD) of March 16th. We'll be so immersed in the Icelandic countryside for our entire time as a group, that we have left no time to enjoy the sights of Reykjavik, so we encourage you to stay in Reykjavik for a couple days on your own, either before or after the tour. All transportation in a 4x4 van with an experienced driver. Accommodation for 3 nights in wonderful and well-situated Icelandic guesthouses and country hotels. Most but not all rooms include private bath. Accommodation is based on double occupancy, single supplement fee may be added for $70/nt). International flights and airport transfers. Experience Needed: This tour is open to photographers of skill levels, with rural country and landscape and austral photography interests. If you have additional questions, the trip leader will be happy to answer them over the phone or by email. Photographic topics that will covered while shooting include nighttime and austral photography, Aurora Borealis photography, classic landscape photography composition and technique, HDR (High Dynamic Range) imagery, panoramic photography, adventure and travel photography, and slow shutterspeed effects. Our 4 days and nights of photography potential allow us to see a variety of well-known Icelandic natural wonders around Iceland's northern peninsulas and coastlines and the Snæfellsness Peninsula, and combined with austral wonderment, enable each participant to get the most out this once-in-a-lifetime trip. In good daytime weather and clear night skies,March days can long; occasionally our groups are putting in 12+ hour days, but there's also some time to relax at oceanfront hotels! A maximum group size of 8 photographers ensures you will receive ample personal photographic coaching in the field from a full time working pro, and provide an intimate small group adventure experience. 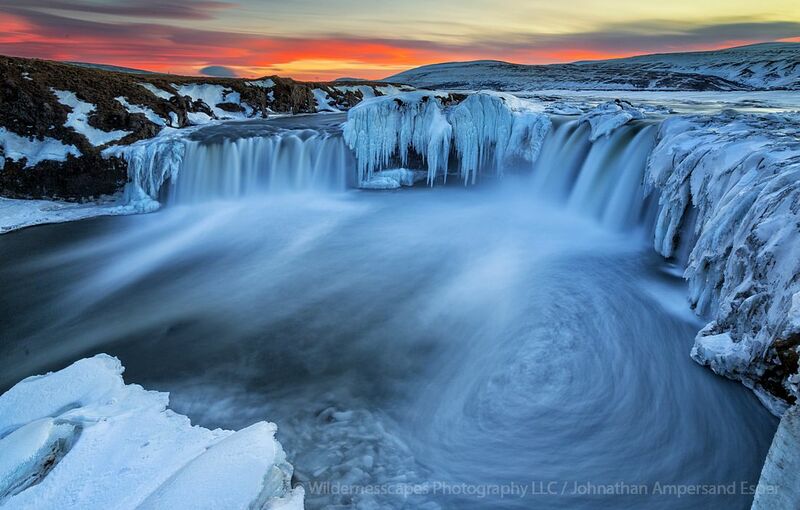 Johnathan Esper of Wildernesscapes Photography LLC, based in the USA, will be leading the trip, his 60th+ in Iceland. Johnathan is a full time photographer and highly experienced international photo trip leader, and has a unique background and an intimate knowledge of Iceland from leading years of trip and traveling around and photographing Iceland intensively for months at a time. 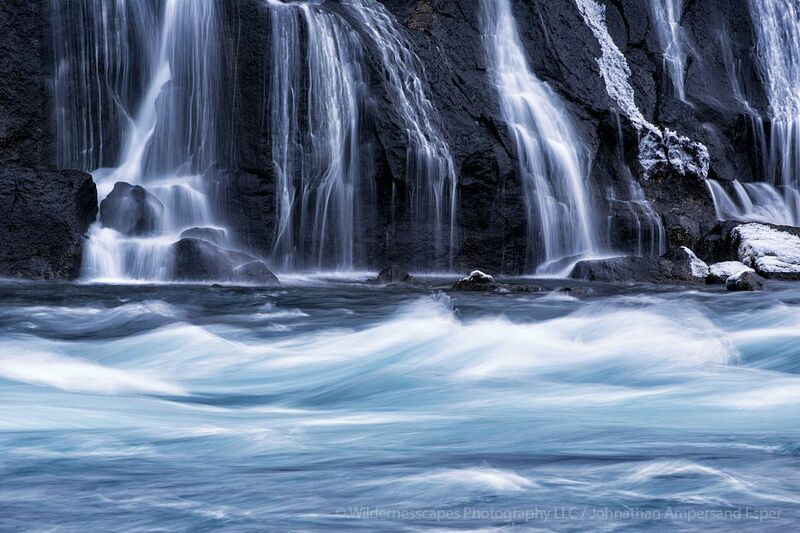 He specializes in classic landscape photography, aurora borealis photography, advanced panoramas and adventure photography in the arctic regions of Iceland, Greenland and the Faroe Islands, and the Adirondack region in the USA. Johnathan regularly works with other top names in the Iceland photography community, such as Örvar Thorgeirsson and Iurie Belegurschi. Deposit: A $400 deposit is due at the time of registration, and the remaining balance is due two weeks prior to trip start. Until payment is sent, your place is not guaranteed. You may conveniently pay your deposit here (near bottom of page) securely with your credit card, processed by Paypal payment processor. The deposit portion may also be paid via personal or bank check for USA and Canadian clients. Refunds are allowed in the form of future trip credit, depending on cancellation date. Please contact me if you need any assistance in signing up! Final Payment: The final payment for the balance due on the trip (after your paid deposit), is due one week prior to the trip start. Payment options include bank transfer to my Icelandic bank account (details on request), cash in person at the trip start (with prior permissin), personal or bank checks (preferred for USA and Canada clients), and credit cards (a 2.5% credit card fee will be added for final payments with card). Cancellation Policy: In the unfortunate case if you need to cancel, cancellation policy is: Deposit payments are refundable as 80% future scheduled trip credit up to 120 days before trip start, 50% future scheduled trip credit if cancellation is 120-60 days before trip start, and non-refundable less than 60 days before start. Final payments for the full trip balance are 100% refundable as cash until the trip start, and non-refundable after the trip start. If I am able to fill your empty spot on the trip, half of what you'd lose will additionally be returned to you, for all the above situations. If I cancel the trip for some major reason, such as overwhelming volcanic activity, trip leader health crisis, etc, then I fully refund everything in cash or Paypal, or a pro-rated amount if the trip must end early for the same reasons. I am not responsible for reimbursing you for travel or other ancillary expenses you incur in prep for the trip.